Our report on Local government in Scotland: Challenges and performance 2018 was published in April 2018. 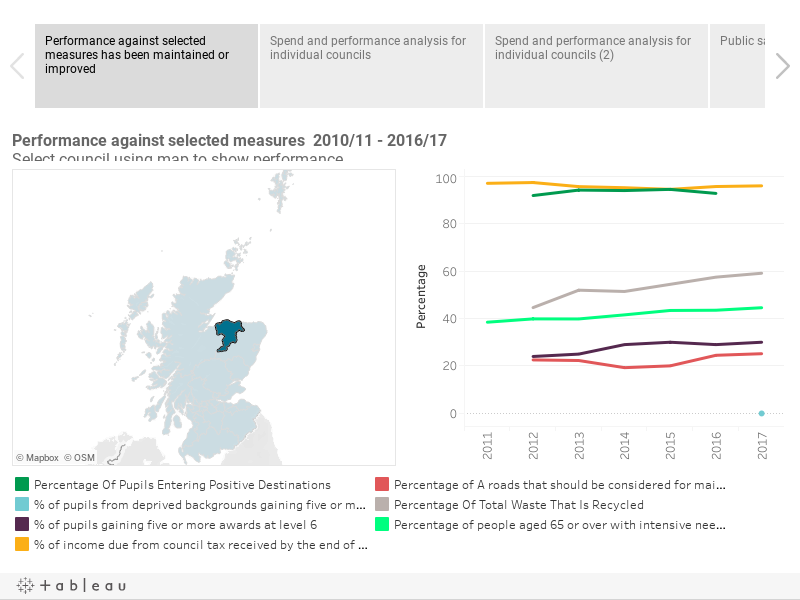 The Tableau visualisation below looks at spending and performance by individual councils, and public satisfaction with services. All figures relating to spending are in real terms with a base year of 2016/17. The year shown is the end of the financial year, for example 2016/17 data is shown as 2017. We also use data from the Scottish index of multiple deprivation. Hovering over the graph or map will show further information about the data.